My friends got very cruel when I strolled in wearing my wife's flowery blouse and minty pants, they were all just jealous! "I've heard of unisex, but I've never had it"
If I didn't know better, I'd say that was a young Dwight Schultz. This just feels really Cronenbergy. 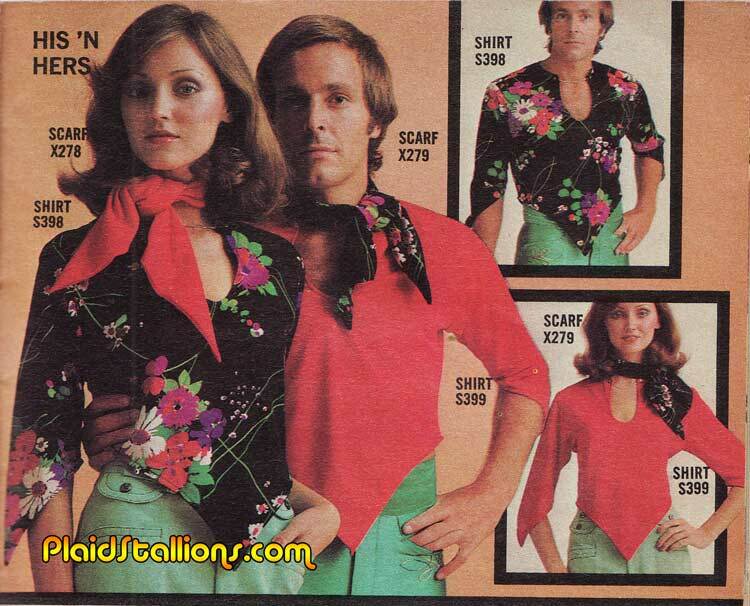 Did people actually wear this stuff, or was it just in catalogs for people to laugh and point at?